Search Results for "mexico streets"
Hyperlapse Madero street downtown Mexico City. People walking in one of the most representative streets in Mexico. In the background the Latinoamericana tower. Young woman fish market working Puerto Vallarta Mexico. Local Mexican fish, meat, and vegetable market in the back urban market streets away from the tourist areas of Puerto Vallarta, Mexico. Fresh catch from Pacific Ocean. Fish market Mexico on ice pan. Local Mexican fish, meat, and vegetable market in the back urban market streets away from the tourist areas of Puerto Vallarta, Mexico. Fresh catch from Pacific Ocean and Banderas Bay. Streets of San Miguel Cozumel Mexico 1. San Miguel de Cozumel on the island of Cozumel, Mexico. Scooters along a side street. Streets of San Miguel Cozumel Mexico 4. San Miguel de Cozumel on the island of Cozumel, Mexico. Streets of San Miguel Cozumel Mexico 3. San Miguel de Cozumel on the island of Cozumel, Mexico. A side street away from the tourists. Streets of San Miguel Cozumel Mexico 2. San Miguel de Cozumel on the island of Cozumel, Mexico. A house along a side street. 1948: Horse pulling farmers carriage crossing through urban streets. MEXICO CITY, MEXICO Classic vintage 8mm film home movie professionally cleaned and captured in 4k (3840x2160 UHD) resolution at 23.97 fps in native h264 codec. 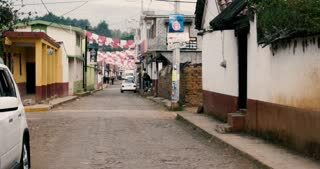 A shot of the city streets in Mexico. SAMARA - JULY 02, 2018: Football fans on the night streets after Brazil - Mexico game at World Cup 2018 at night on July 02, 2018 in Samara, Russia. Mexico Playa Del Carmen Driving City Streets Pov Fast Motion Hd 001. Tourist destination Luxury resorts Mexican Mayan Riviera Cancun. Local business and residents along road. Tropical jungle and warm recreation activities. Mexican fresh fruit and vegetable market outdoor Outdoor. local fruit and vegetable market on streets of Puerto Vallarta, Mexico. Old town residential area away from tourist stores. Mexican healthy products. Don Despain of Rekindle Photo.